Many people suffer from dry eye syndrome. One type of dry eye that has been receiving more attention in the last few years is evaporative dry eye caused by meibomian gland dysfunction. To understand evaporative dry eye, you have to understand a little about what your tears are actually made of. The tear film is thought to be made up of a mucin or mucus layer that coats the surface of the cornea and makes tears "stick" to the eye. The next layer is a hybrid layer composed of water and oil. Oil helps to prevent tear film evaporation. When your eye is open to the atmosphere throughout the day, tears are lost through drainage as well as through atmospheric evaporation. The longer your eyes are open, the more evaporation occurs. If your tear film lacks oil, your tears evaporate very rapidly, especially when exposed to an atmosphere that promotes evaporation. The eyelid contains several glands—called meibomian glands—that contribute oils to the normal tear film. The glands are located inside the eyelid and have an opening on the eyelid margin. Some people are susceptible to these glands clogging or not functioning correctly on a chronic basis. Meibomian gland dysfunction is very common, and mild cases often go undiagnosed or are not treated properly. 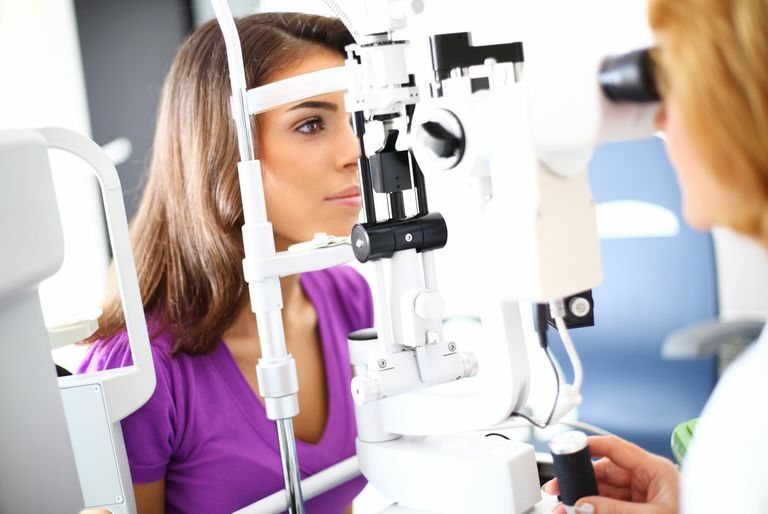 Evaporative dry eye is diagnosed by examining the eye under a slit lamp biomicroscope. Under high magnification, doctors can see the individual openings of the meibomian glands. Sometimes the glands will be plugged up. When meibomian gland dysfunction is chronic sometimes the glands will actually atrophy. The consistency and quantity of the tears can also be examined. If the evaporative dry eye is present, the tears may seem thick or frothy. Treatment of evaporative dry eye varies depending on the severity and centers around treating the underlying problem, the incorrectly functioning meibomian glands. It is thought that treating this first will, in turn, return the tear layer to a healthier functioning tear film. In mild cases, simple warm compresses and eyelid massages may help considerably. Some physicians feel that in-office expression speeds up the healing process. Your doctor may actually squeeze on your eyelids to expel the sebum or material inside of the glands. Occasionally, combination antibiotic steroids are prescribed as well. The most current therapy of choice for many doctors is to prescribe a certain class of antibiotics called macrolides. These antibiotics appear to have powerful anti-inflammatory properties that are very effective. Special artificial tears composed partially of castor oil or mineral oil are also recommended to treat evaporative dry eyes. Sowka JW, Gurwood AS, & Kabat AG. Dry Eye Syndrome. The Handbook of Ocular Disease Management, a Supplement to Review of Optometry. Pp 22A-25A. April 15, 2010.